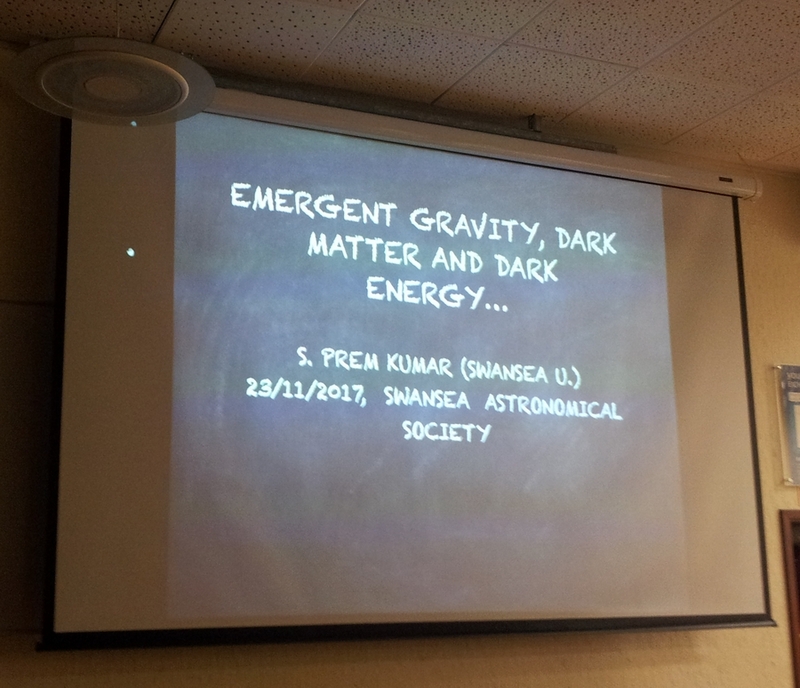 Swansea Astronomical Society Blog: Emergent Gravity, Dark Matter and Dark Energy. Emergent Gravity, Dark Matter and Dark Energy. 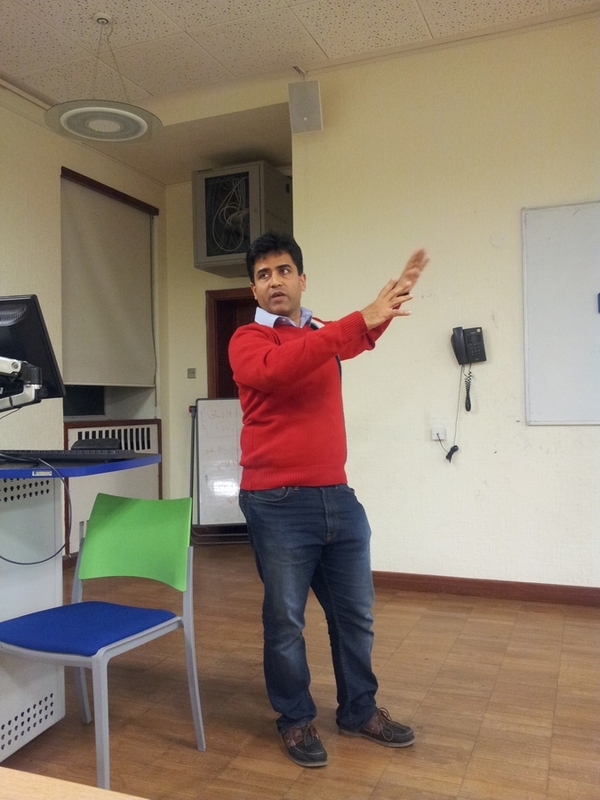 On Thursday November 23rd Professor Prem Kumar of Swansea University gave a fascinating and stimulating lecture to a packed audience on Emergent Gravity, Dark Matter and Dark Energy. The lecture was followed by a lively discussion with questions and answers.